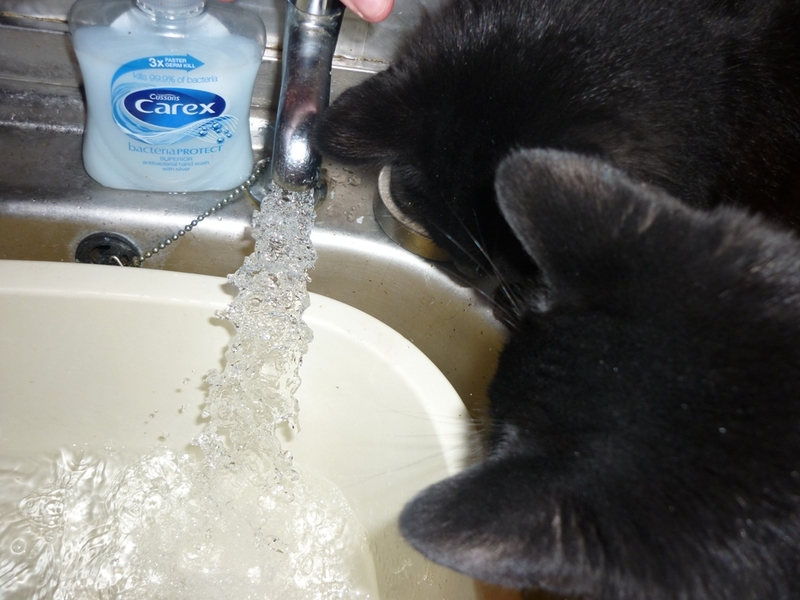 Last night the better-half was down the Valley watching Charlton which left me, Casper and Tinker to our own devices. I had work to do, unfortunately, but the boys were very keen to be helpful in the kitchen. 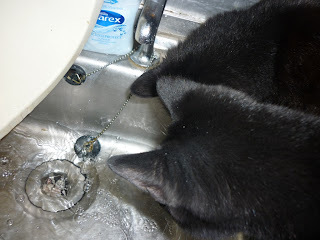 they were also seeking the answer to one of life's great questions (for two small felines, anwyay) - where does the water come from... and where does it go to? !